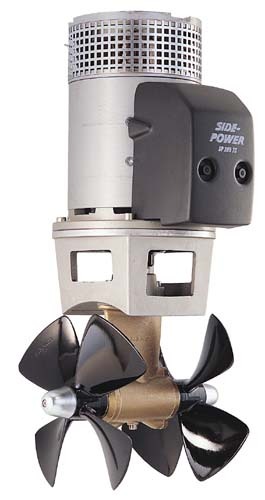 The 285TCi is Sidepower's largest and most powerful DC electric thruster on the market. A 20HP purpose-built 48V motor and a rugged gearing system produce thrust approaching 750 lbs. Each thruster is supplied with a 24V to 48V converter. * includes 24V to 48V voltage conversion box.